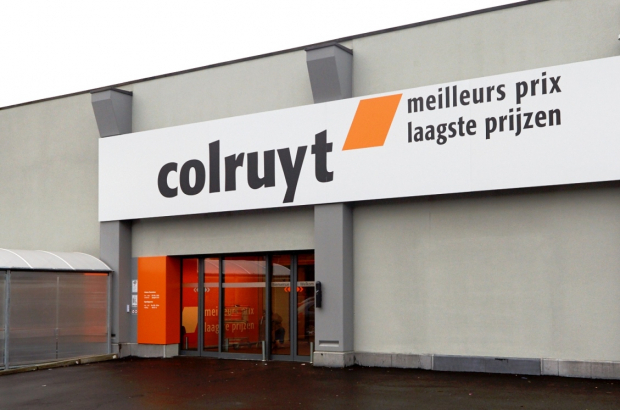 Colruyt remains Belgium's most affordable supermarket chain, but a new rival launching here next year could be about to change that. The latest annual study from consumer association Test-Achats analysed the prices of 27,000 items sold in supermarkets all over Belgium - from own-brand products to big global names. Colruyt once again scores best, followed by Dutch supermarket chain Albert Heijn, whose Belgian presence is limited to Flanders. Carrefour came third, followed by Makro. The four supermarket groups that were ranked more expensive than the average were Delhaize, Intermarché, Cora and Match. Aldi and Lidl were not included in the overall price study because they did not sell all of the products to allow a fair comparison. But based on own-brand products alone, Lidl was ranked the cheapest, Aldi second and Colruyt's "Everyday" brand third. All this could change next year when Dutch brand Jumbo enters the Belgian market. According to separate research by retail analysis company Daltix, 74% of products at Jumbo's Dutch stores are cheaper than in Colruyt. Jumbo will begin with five test stores in Flanders. "In 2019, supermarkets will be at loggerheads when Jumbo arrives, especially stores of the same type," said retail analyst Jorg Snoeck. "Jumbo's warehouse will be just over the border - they do not even need a headquarters in Belgium. Wages are lower in the Netherlands and there is greater work flexibility." According to Test-Achats, the average Belgian household spends €5,289 a year on supermarket shopping. "Aldi and Lidl were not included in the overall price study because they did not sell all of the products to allow a fair comparison".....am I actually reading this ?!?!?!? Tell this to the people who ONLY shop at Aldi and Lidl ! There is NO competition here....i think the supermarkets are all owned by the same people. Why do people drive to Luxembourg and France for basic things, like even bottled water, to save money ? The (unwritten but strictly enforced) rule in Belgium is NO competitive pricing is allowed between supermarkets. The only chance anyone has to save money shopping is to cross a border -to France or Germany- and let the savings begin. Just two tiny examples: Heinz Bio Ketchup is €2.99 everywhere in Belgium. It's €1.99 in France and Germany. Volvic water (6x1.5 litres) is €5.99 at Delhaize. It's between €2.50 and €2.75 in France and €3.35 in Germany. A person who works for Auchan told me that for Carrefour to be allowed to take over the Belgian GB supermarkets, they had to sign an under-the-table agreement not to compete with Delhaize et al. prices.